Heart failure (HF) affects approximately 5.1 million adults in the USA, with expectations of a rise to nearly 8 million adults by 2030. Patients with HF are at increased risk for morbidity/mortality, and comorbidities can further complicate care for these patients. Diabetes mellitus, chronic pain, arrhythmias, and depression are diagnoses that often coexist with HF. Medications commonly used to treat these comorbidities may induce or worsen HF symptoms, so determining appropriate drug therapy is important. Healthcare providers must understand the relationship between these medications and HF in order to improve prescribing practices to increase patient safety and reduce morbidity and mortality. This manuscript discusses the association between certain medications used to treat the aforementioned diagnoses and their relationship to HF. The purpose of this article is to provide guidance on which pharmacologic options require special consideration, increased monitoring, or complete avoidance in HF patients with diabetes mellitus, chronic pain, arrhythmias, and/or depression. No external funding was used in the preparation of this manuscript. None of the authors have any potential conflict of interest that might be relevant to the contents of this review. Food and Drug Administration, Center for Drug Evaluation and Research. 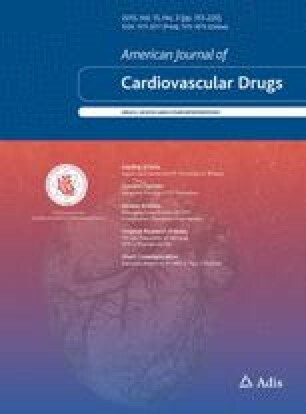 Guidance for industry: diabetes mellitus—evaluating cardiovascular risk in new antidiabetic therapies to treat type 2 diabetes, 2008. http://www.fda.gov/downloads/Drugs/GuidanceComplianceRegulatoryInformation/Guidances/ucm071627.pdf. Accessed 26 June 2014. Zannad F, Cannon C, Cushman W, et al. Alogliptin in patients with type 2 diabetes after acute coronary syndromes: heart failure outcomes and cardiovascular safety in heart failure patients. J Am Coll Cardiol 2014;63(12_S). doi: 10.1016/S0735-1097(14)60117-0. Nainggolan L. DPP-4 inhibitors and heart failure in diabetes: be vigilant. Medscape Medical News. 2013. http://www.medscape.com/viewarticle/817543#1. Accessed 26 June 2014. Pfizer. Welcome to the Patient Health Questionnaire (PHQ) Screeners. http://www.phqscreeners.com. Accessed 20 Feb 2015.